The British Centre, Monterrey, México offers a professional translation service for original documents, internet pages, manuals, etc. 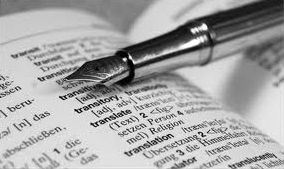 primarily into Spanish or English; however, from time to time we have translated documents into other languages, such as German, French, Portuguese Dutch and Hebrew. A highly qualified team of translators and specialists in areas such as legal, medicine, marketing, industrial affairs, economy and finance, politics, international commerce and accounting, provide the necessary support to ensure that the work is a true and efficient translation of any type of document. By sending us a example extract of the item you require translated, we are able to provide you with an immediate and accurate estimate that we are sure you will find to be highly competitive. Our mission is to assure customer satisfaction and we achieve this by offering precise and timely responses to our customers' needs and budgets. Latin America, North America and Europe. Our experience and professionalism is second to none.